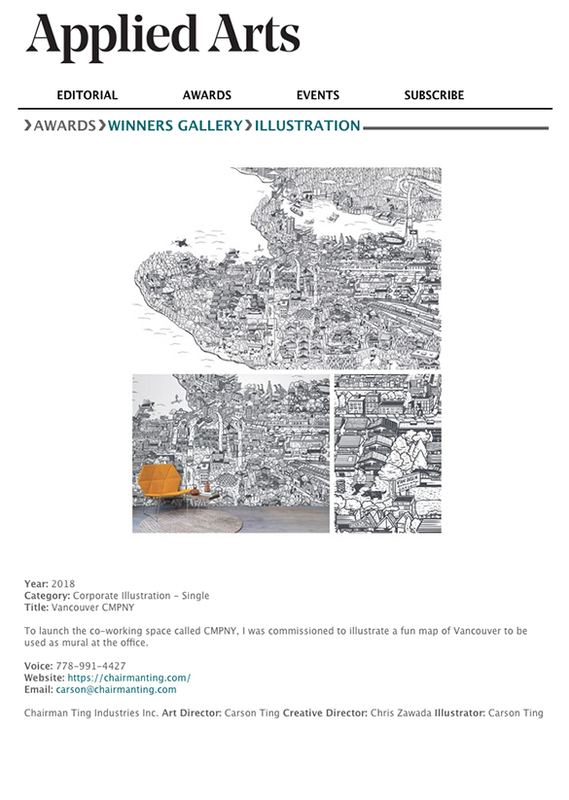 Applied Arts Illustration Awards: CMPNY Vancouver Mural. « The Bro’Kin Yolk’s new mural in Calgary. Written by Carson Ting. Posted on March 13, 2018. Filed under Press, Blogging. Tagged 2018, applied arts, applied arts illustration. Bookmark the Permalink. Both comments and trackbacks are currently closed. Happy to see all the winners on the Applied Arts Illustration Awards site including our piece for CMPNY. Check out the entire winners galleries here. Congratulations to all the winners!